Two of the most common elements that can be found it in a warehouse are cardboard boxes and wooden pallets. Those are also the same to items that end up being piled up to be discarded. Unfortunately, not every dumpster pickup from a warehouse garbage service can handle all of that excessive rubbish. What happens is that it will often start to accumulate in a corner of the warehouse until it becomes too much to deal with. If you reach that crisis in your warehouse then it is time to bring in Junk King Richmond for fast warehouse cleanup. Junk King is going to send over a dedicated team to help you clear out your warehouse of that excessive rubbish. You won’t need to pull anyone from your warehouse staff off of their job to help the Junk King team. They will be able to take care of everything from start to finish. It will certainly be a big help to get rid of all those pallets and cardboard boxes but you don’t have to stop there. The Junk King team can also remove any unwanted inventory or office equipment that is no longer being used. Just think of how much space you’ll be able to take back once that junk is gone! Before the Junk King crew starts to load up the truck, they are going to present you with an estimate the. This will be based on how they are going to eventually pack up the truck. The Junk King crews are experts when it comes to getting a lot of things into a little space. They need to always have room in the truck for the next pickup. Whether your load will be using one third, one half or the whole truck the flat fee will reflect that. This is a much better approach for this type of work and be charge by the pound. If you call to set up your warehouse cleanup appointment with Junk King today, then there’s a good chance it can be handled by tomorrow. Junk King likes to move fast and that will be a big benefit for your operation. It is a smart business move to let Junk King Richmond help with your warehouse cleanup task. They’re standing by to dive in. This entry was posted in Richmond Junk Removal and tagged Junk King, junk removal, warehouse cleanup on March 31, 2019 by Junk King. Last updated March 31, 2019 . Just because you have a drawer in your kitchen full of soy sauce packets from all the Chinese takeout doesn’t mean you are a hoarder. The same can be said if you have any type of collection that is your hobby. A hoarding situation gets out of control when the things you are holding onto have no value. That means considering all the clutter in your garage and closets. How much of that could you get rid of? If the answer is, “a lot,” then it is time to bring in Junk King Richmond to help with your hoarding level cleanup. You’re going to have to do a lot of sorting first before the Junk King team shows up. The amount of that sorting depends on how much stuff you are holding onto. This is your chance to finally get rid of all that debris. Take everything out of the closet and decide what you want to keep. Everything else goes into a pile for junk. Out in the garage, go through all the boxes that are on shelves and decide whether anything in their you’re going to use again. You might also have a bunch of scattered auto-parts, power tools and small appliances that are no longer functional. Do you really need to hold onto that? That becomes the hoarder level type of mess that is perfect for Junk King to help with. Once the sorting is complete, you can call Junk King to set up your session. You’ll find that once they lockdown a time the Junk King crew moves fast. They will keep you up-to-date on their progress on the day of the appointment. Most often, they will show up early. Once they do show up the work out the price for you. That will be based upon how all your things are going to sit on to the back of the truck. It’s a flat rate that covers all the labor, transportation and disposal. When you agree to that price the crew will get to work and in no time at all your hoarding mess will be gone. Just think of what that will do for your living environment. Spring cleaning is the perfect time for hoarder level clean out. And Junk King Richmond is the perfect partner to help make that happen. Book a session today. This entry was posted in Richmond Junk Removal and tagged hoarding, Junk King, junk removal on March 26, 2019 by Junk King. Last updated March 26, 2019 . Every time you replace a television in your home you are presented with a dilemma: What should you do with the old television? Sometimes, those old televisions can be handed down in the family. Perhaps the old television can be put in a teenager’s room. Maybe the guestroom needs a TV. Of course, if that old television is really old then it might not even be adaptable to your homes current cable set up. This is especially true with older to style television sets. You probably couldn’t even give that TV set away. That is when it has become official e-waste. This is something that can’t be thrown out in the trash or even donated. Instead, it has to be disposed of in a responsible way. That’s where Junk King Richmond can be of assistance. Junk King doesn’t do the actual disposal part with the e-waste. What they can do is help get that item to the right facility. Junk King has been dedicated to an eco-friendly way of getting rid of what they collect ever since they began collecting unwanted junk over 14 years ago. In that time recycling processes have improved and there are more facilities operating throughout the country. E-waste is a big problem for every community but thanks to a company like Junk King is easy to dispose of e-waste the right way. It might seem that a big truck capable of holding an entire home worth furnishing is too much for a single TV. You can certainly hire Junk King just to remove that one item. However, since they will be sending over a two-man moving crew with that truck you should put them to work. This is a great chance to get rid of any other oversized for heavy item in your home that you have been to. What do you have down your basement or out in the garage that you would like to get rid of? Keep in mind, that everything you turn over the Junk King will be treated just like the e-waste. This means it can also be recycled or donated to a charity. E-waste disposal doesn’t have to be a challenge when you have Junk King Richmond helping out with the task. This entry was posted in Richmond Junk Removal and tagged e-waste disposal, Junk King, junk removal on February 28, 2019 by Junk King. Last updated March 3, 2019 . Garbage collection is a very dependable service. Once you are assigned a day for the pickup, you can count on your trash being collected on that day. It might be at a different time throughout the day but before night falls that garbage will be gone. The only time there is a slight delay is where there’s a holiday or too much snow. All that the garbage crews ask is that the cans are down by the curb and all the trash is inside those cans. When you are faced with a cleanup situation that goes beyond the weekly trash pickup you might be looking for a professional junk hauler. This could be a one-time service or a company that you may call upon time and again. A quick search for junk hauler will probably present you with several choices. The best approach would be to hire the junk hauler that has been in the business the longest and has established a terrific reputation when it comes to customer service. That describes Junk King Richmond perfectly. Junk King Richmond is part of the national Junk King franchise. These are professional junk haulers who are operating in every major metropolitan city across the country. You have probably seen the red Junk King trucks make their way around the Richmond area. Those trucks are always out on the job helping homeowners, apartment renters and business manages cleanup their property. What makes Junk King the ideal junk hauler is their level of professionalism. That begins with the type of workers they hire. These are crews that have been licensed and insured. They also have friendly attitudes and are eager to help folks get rid of the rubbish. Sometimes that can be a bit challenging. You might have a heavy piece of furniture down in your basement that you need brought up. Or there might be something out in the yard that is covered with grime that you want. The Junk King crew will do all of that without grumbling at all! Junk King also works fast. The call that you make today can result in your junk being picked up by tomorrow. Yes, all that stuff you been holding onto for years can finally be gone. Imagine what a positive difference that will make around your house. The right junk hauler for your rubbish for his Junk King Richmond find out how great they are to work with by booking a session today. This entry was posted in Richmond Junk Removal and tagged junk, junk hauler, Junk King on February 25, 2019 by Junk King. Last updated February 25, 2019 . Holidays and snow. Those are the two major reasons why trash pickup is delayed. Whenever there’s a holiday you can expect that trash delivery will skip a day. That’s not too big of a deal. But it is the snow days that cause bigger problems. When you can’t get to the curb with your trash because of the snow then you might be stuck with it for longer than just a day. Unless the streets are plowed garbage trucks can’t make their way through. It simply becomes a mess! There is one company that prides itself on a speedy turnaround for their junk hauling services. Junk King Richmond usually completes their assignments within 24 hours of first contact. Yes, the snow might slow them down, too, but you’ll find more often than not that there’s never a delay with Junk King for your rubbish removal. Although Junk King is happy to pick up your trash overflow, the best used of their moving crew and truck is to get rid of the big bulky objects from your home. These movers will swiftly be able to clear out things like a loveseat, recliner, futon, mattress, baby furniture and any type of major kitchen appliance. Getting rid of one of those items can have a big impact around the house. If you have a half a dozen things that size to clear out, then you really wanted put Junk King on the task. Everything that Junk King collects will be sorted back at the depot. They’re going to be looking for things that can be donated or recycled. These extra drop-offs might take up time for the Junk King crews with a considerate time well spent. They don’t want to go to a landfill any more than you would want to! Thankfully, the partnerships they develop with the charities and recycling centers keeps them on alert for exactly the type of things those organizations are looking for. You have to do any of the sorting. The that all for the Junk King team. When you hire Junk King Richmond to take care of your rubbish removal, you won’t be waiting very long at all. Make your session happen with one call. This entry was posted in Richmond Junk Removal and tagged Junk King, junk removal, rubbish on January 31, 2019 by Junk King. Last updated January 31, 2019 . The older the estate, the greater number of possessions will be found within that estate. That means the cleanup effort could be all the more challenging. If you have been put in charge of an estate, then you probably want to move swiftly to assess just what needs to happen next. The first thing you want to do is to assign a value to the estate. That would mean bringing in an appraiser to not only determine the value of the property itself but all the possessions within the property. That will provide you with a baseline of information to move forward. You certainly don’t want to undervalue the estate if you plan on selling it off. Before that can happen, you’ll need to engage in some cleanup effort. That’s where Junk King Richmond can be a big help. Before the Junk King crew shows up at the estate you will want to remove all the things that you want to keep. They could also be some items that have unique value that can be sold either at an auction or through private sale. Everything is left behind can be turned over to Junk King. That would be all the unwanted stuff. At least it would be unwanted by you. It might be that some furniture items, clothing and appliances could be put to use again by a family in need. If that is the case, then Junk King will do everything in their power to make sure those items and up at a charitable organization. This is the kind of disposal work that Junk King has been doing ever since they started collecting rubbish way back in 2005. Depending on the level of items you want removed, it might take the Junk King crew a bit more time with an estate cleanup. A recent job like this require the services of three crews and three trucks to get the job done in a single day. The cost for Junk King services isn’t based on how many crew members are working or how long they’ll be at the site. It is always based on how the truck it’s filled up. This is a very fair approach for this type of service and one that is very cost-efficient as opposed to trying to handle this type of job as a DIY project. Turn your estate cleanup task over the Junk King Richmond today and watch how fast it gets done. This entry was posted in Richmond Junk Removal and tagged cleanup, estate cleanup, Junk King, junk removal on January 26, 2019 by Junk King. Last updated January 26, 2019 . The last piece of “evidence” that there was ever a holiday in your home is the empty Christmas tree. Usually, this is the final thing that is taking care of that closes out the holiday season. Ironically, it is often the most challenging thing to get rid of. After all, it’s not that difficult to pack up lights and ornaments and boxes tucked them back into the attic or basement. But taking care of the Christmas tree is a bit of a time crunch. You need to get it outside for pickup from the garbage groups. That is provided the garbage crews are actually picking up this year. There’s no telling with cutbacks whether or not they’ll even offer that service. And if you miss the opportunity then you might be stuck with that tree for a bit longer. There is a reliable Christmas tree removal service you can call on from an unlikely source: that would be Junk King Richmond. As the title of their company implies, Junk King specializes in removing all kinds of junk. You can imagine their red truck being filled every day with furniture, appliances and other rubbish being tossed out of a home. What about the Christmas tree? On some level, that would be a kind of yard debris. In the spring and fall, Junk King does a lot of yard clearing for many homeowners and businesses. There used to handling all kinds of organic material. They won’t have any trouble with your Christmas tree. Best of all you don’t have to bring that Christmas tree out of the house and down the steps. The Junk King crew will handle that just like they handled removal of any other item you want to get rid of. Getting rid of your Christmas tree with the Junk King crew and their truck will afford you the opportunity to get rid of a lot of other unwanted items. This is your chance to finally get rid of that old recliner that’s been taped together or the water heater that was replaced many months ago. You can transform your home into a junk free zone with this kind of help. For reliable Christmas tree removal and junk hauling you can always count on the team from Junk King Richmond to get the job done right. This entry was posted in Richmond Junk Removal and tagged Christmas tree removal, Junk King, junk removal on December 31, 2018 by Junk King. Last updated December 31, 2018 . How About A Junk Free Home New Year’s Resolution? The topic of any New Year’s Eve party is always the New Year’s resolutions. When asked what your resolutions are you may be thinking back to last year and whether or not the resolution you made then were able to come to fruition. There is nothing wrong with setting up goals for yourself provided their realistic goals. And those goals don’t have to be accomplished as a “solo act.” Take for instance a New Year’s resolution of having a junk free home. That could mean you want to start the year by thoroughly decluttering your entire house and removing all the unwanted items you’ve accumulated in the last 365 days. The cleaning and sorting will be worth the effort when Junk King Richmond can swoop in and remove all the unwanted items. Junk King provides the essential tools to accomplish a junk free home resolution. You’ll get a team of movers and a big truck. That is really all you need to concern yourself with. Even though the Junk King team might take a few hours to dispose of the things they collect from everyone’s house they’ll only be at your home for less than an hour provided you’re just getting a few things removed. Of course, if you want to get a lot more removed, then Junk King will be happy to accommodate you. Best of all, you won’t be charged any extra for the labor. The Junk King pricing policy is based strictly on how the truck is going to get filled with your stuff. Junk King crews will look over everything and tell in instead how much space it will all take up. It might be one third, one half of the entire truck. Whatever the number breaks down to will reflect in the price scale. The less room for your stuff, unless you be paying. Junk King will always try to get as much into as little space as possible. Everything is collected by Junk King will also have the opportunity to be recycled. Junk King doesn’t do the actual recycling but they can make sure those things get to the proper facility. That can either be a recycling center or a charity. 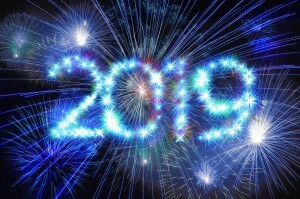 You can start the new year off with a smaller carbon footprint without lifting a finger! Hire Junk King Richmond today to make your resolution of a junk free home a reality. This entry was posted in Richmond Junk Removal and tagged Junk King, junk removal, New Year's, resolution on December 27, 2018 by Junk King. Last updated December 27, 2018 . What is your big Christmas wish for this year? Most kids have one special present in mind and that seems to be all they can think about. In fact, they even made a movie about that! The older we get the more we just want to make sure everything is nice for our friends and family. That could mean opening up your home for a special Christmas dinner or an open house party. Those always fun and festive. The best way to get ready for your Christmas guests is to make sure the home is decorated. That should start with a session from Junk King Richmond. 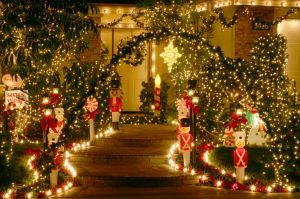 They won’t be able to help string up any lights but they can certainly do a lot when it comes to removing rubbish throughout the home and property. One of the things you’ve been looking at all year in your home that you’d like to get rid of? These might be items that aren’t always visible. For instance, you could have some old furniture down the basement that you will see go to do some laundry. There might be some electronic gear and outdated computers that you tucked away in a spare room. And there’s no end to the kind of unwanted clutter that can be crammed into your garage and closets. If you were the take the time to go through your entire house and designate all the items that you want removed, then you might discover it’s quite a lot of things. It might seem overwhelming but when you bring in the crew from Junk King all of that stuff can be gone in a matter of minutes. As soon as you know exactly what you want to get rid of, you’ll want to schedule your appointment with Junk King. They might be able to provide you with the same day pickup. Yes, you could call Junk King when you’re having your breakfast and have all your stuff gone by dinnertime. They like to work that fast! 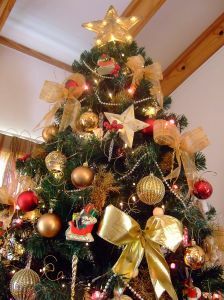 Let Junk King Richmond help make your home entirely rubbish free for Christmas. This entry was posted in Richmond Junk Removal and tagged Christmas, Junk King, junk removal, rubbish on November 30, 2018 by Junk King. Last updated December 1, 2018 . Most people you give gifts for at Christmas will often tell you not to make a fuss. But secretly, they like to get surprised. We all like to get surprised by a special unexpected gift. Sometimes that gift can be extravagant like a marriage proposal or a new car wrapped in a big red bow. Other times the gift can be a simple thoughtful gesture that can make a huge difference in someone’s life. A junk removal session with Junk King Richmond would certainly fall into that category. It is the kind a gift you can wear or drive but it can certainly have a positive impact on someone’s living space. You probably know someone who has been upset at the fact that they can get rid of some big pieces of furniture or appliances in their home. You’d like to help out but you don’t have the truck or are capable of lifting something heavy. Junk King provides both the manpower and the truck space needed to get rid of just about anything in a home. Those items can be located throughout the house including down the basement or up on the second or third floor. The Junk King crew never met a flight of stairs they could navigate with a sofa! You have to coordinate with that someone special you’re giving the gift to in terms of the best day for the appointment. The Junk King crew works throughout the week and on the weekends so picking the perfect day won’t be difficult. When they show up though look over all the things that need to be loaded onto the truck and will be able to come up with an estimate. That estimate will be based on how the going to pack up truck and the less room they take up the less you’ll be paying. You’ll know what that price is before the work begins. And when you consider what it would cost you to hire your own moving crew and rent a big truck you’ll see what a bargain having Junk King Richmond do the work is. 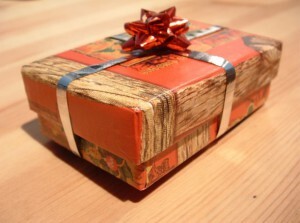 Surprise someone this Christmas season with the ultimate gift of junk removal from Junk King Richmond. This entry was posted in Richmond Junk Removal and tagged Christmas, Junk King, junk removal on November 25, 2018 by Junk King. Last updated November 25, 2018 .